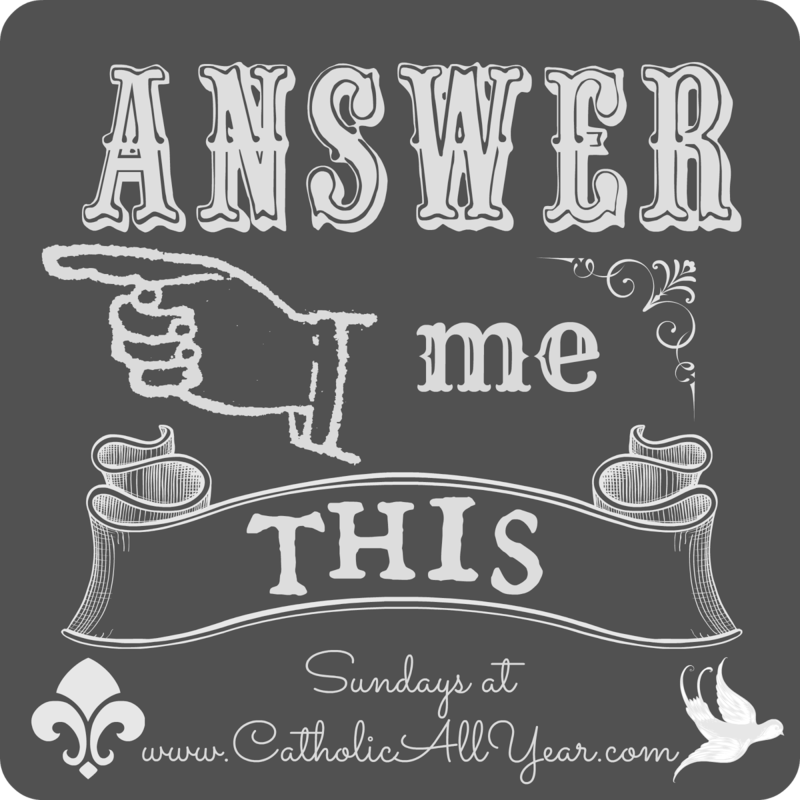 It’s time again for Answer Me This, the brainchild of Kendra at Catholic All Year. I am named for my mother’s sister, Mary Leslie. There’s a street here in Knoxville called Leslie Avenue, and I believe that was what gave my grandmother the idea for the name. I don’t like my name and never have. 2. Do you have a set time for prayer in your day? When I tell people (usually via Facebook) that I will pray for them, I try to do it right away so I won’t forget. Other than that, I pray before bed. And of course I send up random prayers throughout the day. But I wish I had a more disciplined prayer life. 3. Did your mom work or stay home (or both)? My mother was in school off and on when I was little, and occasionally she worked part-time. But my primary experience was that of having a mother who was always at home and always available. Absolutely. I have missed the occasional local election for one (bad) reason or another. But I haven’t missed in years. I’ve also always made it a point to take the kids with me over the years to impress upon them the importance of this responsibility. 5. What’s your favorite drink? Coffee. Then Mountain Dew. But these days I am mostly drinking water because carbs. 6. How are your photography skills? That’s all for this week! Please check out the other posts in this linkup at Catholic All Year! That basket picture is awesome! Thanks, Ann-Marie! I am very fond of that one.